Had in mind to tart up one of the XS1 heads I have lying around. Picked up a set of Viton® valve seals for it. Reputed to outperform the originals. Got sidetracked and they sat on the shelf a while. These are available with or without a metal jacket. I am now sorting out a head for an extra SR500 motor. To go in the sidecar. Emphasis torque. Early 78/79 crankshaft and cases (larger crankshaft counter-weights), specially ground cam, larger valves, lighter valve springs, thinner spring plates, modified ports, carillo rod, O/S piston, modified/heavier flywheel etc. 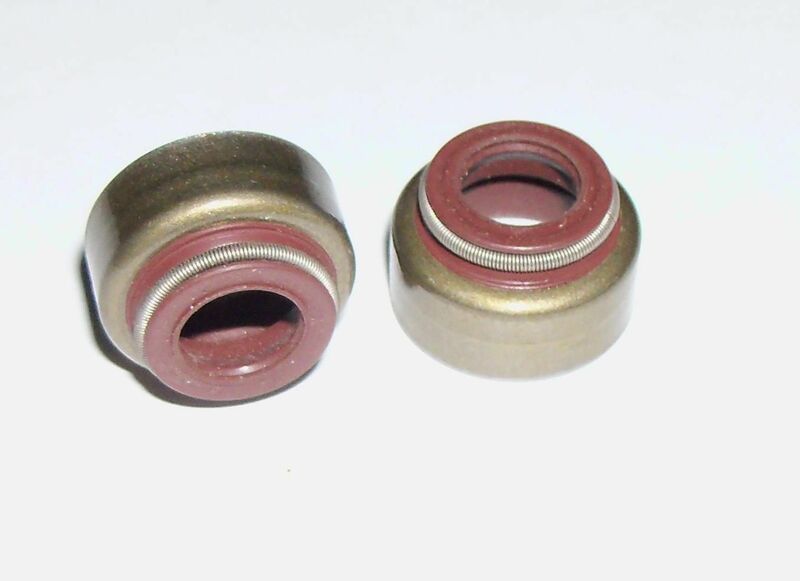 The XS650 and the SR500 use the same valve seals. No point leaving these sitting. Collecting dust. Wonder how they will work. Viton®. Flouroelastomer (FKM/FPM). A fluorocarbon based synthetic rubber. 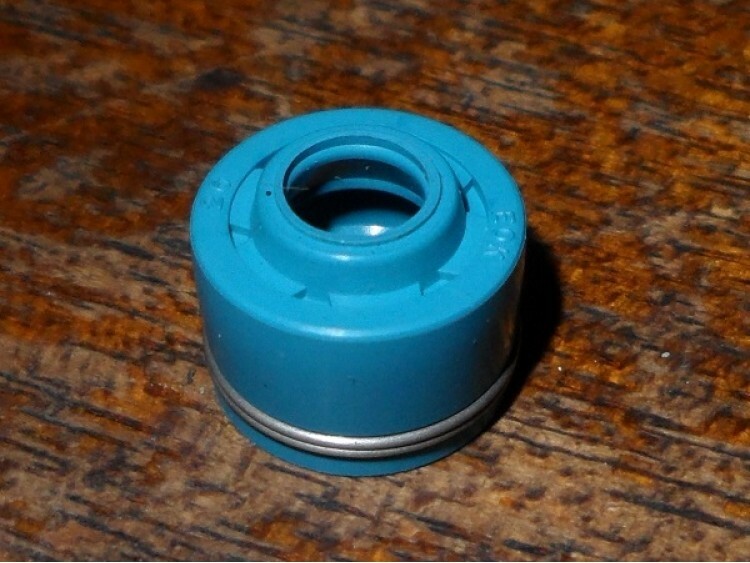 These contain 5% Teflon for reduced friction and wear. The fluorocarbon rubbers are used for special applications that require good heat, oxygen or corrosion resistance and hot solvent and oil resistance. Note: Viton® is a registered trademark of DuPont. It is often misleadingly used as a generic term for FKM/FPM flouroelastomers. An example of a structure of the fluorocarbon rubbers, VF2 / HPTFP / TFE -copolymer.